To say that the Rhone Valley of France is one of the world’s most picturesque wine regions is something of an understatement, especially when you are looking out at the view from the vineyards of the Pierre Amadieu estate. The vines tumble down the valley sides from a considerable elevation, capturing the soft sunshine which washes over the part the country before bursting with their rich, luscious fruit. Of course, there’s no real connection between the way a winery looks and the quality of their produce… but this particular view does give you some idea of the kind of wine that Pierre Amadieu produces. 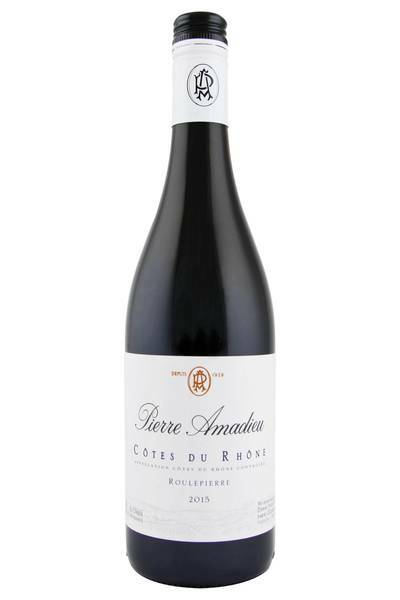 After all, this particular Cotes du Rhone winery is one which really does celebrate this landscape, and makes the most of the high altitude its vines benefit from. 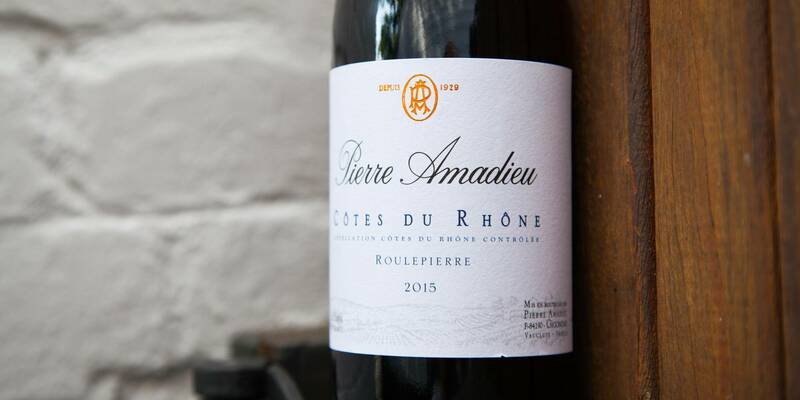 Pierre Amadieu has long been associated with traditional, reliable, rustic Cotes du Rhone (in both red and white varieties) - exactly the kind of wine you’d want to drink after a day trekking across this kind of striking landscape. We don't talk about vintages too much here at the Wine Gallery - if the wine is good, then it is good, no matter what year it came from. But sometimes it's hard to overlook the perfect combination of weather conditions that can occur over a period of a few months, resulting in fruit that is simply excellent, and can elevate a good wine to a great wine. Pierre Amadieu Roulepierre is always solid, well made and consistently enjoyable. In 2015 however, it went to the next level. Many winemakers in the Rhone will say the same thing - things just went right. Grenache dominant in this vintage, the floral characters are brighter, the fruit is rounder and supple, but still has tension and power, and the balance of the wines is just beautiful.